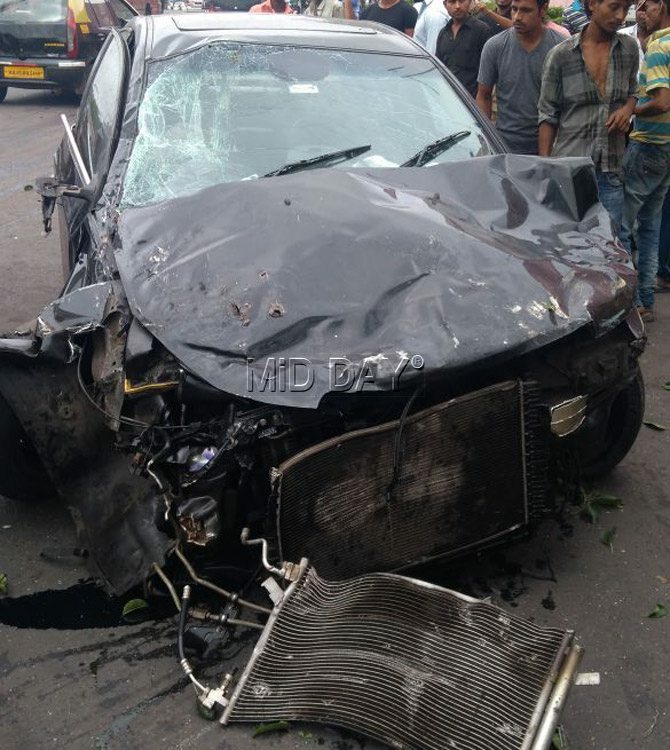 A Chevrolet car was involved in a horrific accident on the flyover leading to the Bandra-Worli sealink. The car is said to have fallen from the bridge on to the road below at around 2.55 pm today. While the black car Chevrolet with the licence plate number MH04EF9795 is totaled, the condition of it’s passengers remains unknown.